This year, as some 125,000 people descend on Indio, California's Empire Polo Club for the 20th year of Coachella, fans won’t just be clamoring to get to the front of the stage for sets from headliners like Ariana Grande and the flute-twerking of Lizzo: the multinational horde will also be lining up for food from renowned chefs like David Chang and Top Chef finalist Bruce Kalman. Other hungry attendees will sit in the VIP Rose Garden, eating high-end, family-style Outstanding in The Field dinners from a crew of chefs that change weekend-to-weekend. This year they include James Beard winner Jessica Largey and the crew from the acclaimed San Francisco bakery-and-more Tartine and its sister LA location The Manufactory; as well as Broken Spanish’s Ray Garcia and Border Grill’s Susan Feniger & Mary Sue Milliken making the hundreds-of-dollars up-charge for the dinners worth the spend. For food-minded people, these are some of the real headliners of Coachella -- but it wasn’t always like this. In fact, for over 10 years of the festival’s existence, these name-brand vendors weren’t part of the festival’s landscape at all. In fact, food used to be the forgotten act at the popular California music festival. Adler mentioned San Francisco’s Outside Lands fest to Tollett, which had already been leading the way in the festival world with a curated food program; Tollett told Adler to put together a loose plan. “By no means was I auditioning for a job or thinking I’d get something out of this,” he says. The next day, he went to the Goldenvoice offices for a meeting. Adler has been the Culinary Director for Coachella ever since. But the wins in those early years far outweighed the losses. Brands that initially seemed ridiculous as festival food options ended up making huge splashes, such as Kazunori, the hand roll chain from the Sugarfish team that got its start as a VIP-only kiosk and now is an undeniable festival favorite. “[The VIP section] became our incubator,” Adler says, noting that in recent years that idea of discovery has successfully transitioned into the main food hall, the massive, midfield, tented Indio Central Market. Concurrently in 2014, the Outstanding in the Field program launched at Coachella -- another unlikely success, given both the price (tickets for the dinners are a $225 add-on or are sold as packages including tickets) and the location: though the stages have moved around since then, as the dinners launched they were just meters from the Sahara tent -- the loud, rave-like structure that is one of Coachella’s most party-heavy spots. 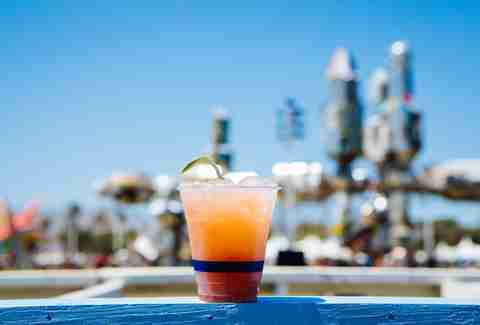 So is the Coachella team: in the years since, they’ve launched everything from craft beer gardens, to secret menus, to the aforementioned Indio Central Market to a much-hyped (but hidden) tiny tiki bar. 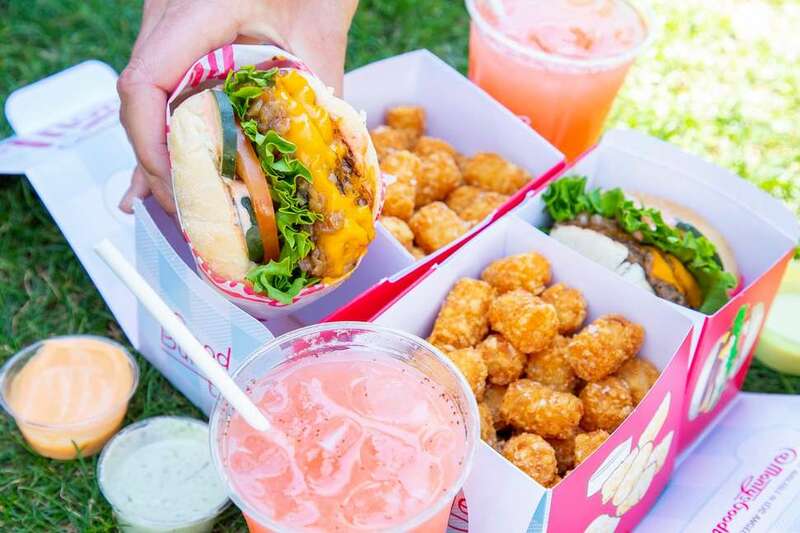 This year, they’ll be introducing Postmates to the field: the delivery app has 10 partner vendors prepping off-site, with festival-goers able to order from their phones and pick up food on the fly. 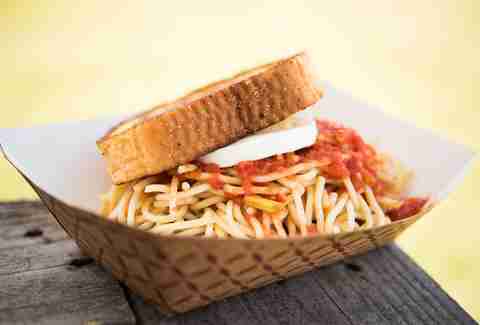 “This year, again, is changing the way that people experience food at Coachella,” says Adler.